English Version ~ Concorso "Franz Schubert"
Art. 1 – The competition is open to musicians of any nationality who were born on or after 1 January 1982. Art. 2 – The competition will take place in the “Pieve di San Giovanni Church”, Sale San Giovanni (Cuneo – Italy) between 17th and 20th July 2017. Art. 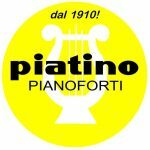 3 – On line application form (www.premioschubert.it) must be sent by 3rd July 2017. – Free program not exceeding 25 minutes. – Free program not exceeding 45 minutes. Art. 6 – The order of appearance will be drawn by lot prior to the opening of each audition by one candidate in the presence of all the others. Beginning the audition, the candidates have to produce to the jury a published copy of the music they will perform and an identification card. Art. 7 – The Jury’s decisions are irrevocable and not subject to appeal. The Jury also reserves the right to select only a part of a work to be performed or to stop competitors who exceed the time allocated. Art. 8 – The winners must undertake to perform at the concerts expressely organized for them by the Organisation, on pain of the cancellation of the prize itself. 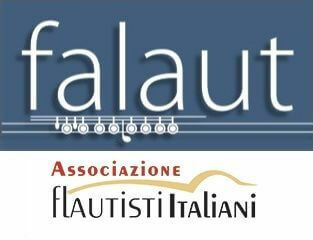 1st Prize: 2 Recitals, Scholarship of Euro 1000,00 as a refund of the travel expenses, Plate and Diploma. All those whose assessment is not below 95/100 will be considered First classified; Second between 90 and 94; Third between 85 and 89; Fourth between 80 and 84. Among the contestants who will include in their program a piece written by an Italian composer after 1900, Artistic Direction and Riccardo Vianello widow will assign a scholarship of Euro 500,00. Art. 10 – By registering for the competition the candidate declares to accept unconditionally the conditions of partecipation. The Organisation reserves the right to make any modification to this announcement which may be necessary for the successful completion of the competition. For anything else not indicated in these regulations, the art direction will have all competence. In case of doubts, the italian version of the contest conditions shall prevail.